Another recent thread about a custom stave drum company has me wondering if anyone here owns or has played a stave construction drum. If so please comment. this is a beautiful example of a stave drm! Last edited by cdaug; 04-18-2008 at 03:33 PM. As i referred to in the other thread stave made drums can be simply beautiful to look at, as the picture attests. That drum is so thick though that I would imagine that very little shell resonance plays a part in the sound of the drum. I bet it will crack though. I don't know anything about these but, it sure looks beautiful. This one was interesting because of the thickness...however most that I'm seeing look to be about an 1/2" thick. Your right B2D the thicker drums make up in volume and projection what the lack in resonance. I'm interested in hearing comments on any stave construted drm that anyone has played. Does the lack of glue make an audible difference to the ear? The theory seems sound but does it hold water? Cdaug, the stave drum has glue, but it is running vertically as opposed to horizontally between plys, The true steam bent shells are the ones with the least glue, they are only glued at one scarf joint where the two ends meet. It would be fun to put all three types together and do side by side comparison. Last edited by backtodrum; 04-19-2008 at 10:16 AM. That looks so beautiful, i wish i could get one somehow. My friend owns Stool Pigeon Custom Drums, and he builds stave drums using the exact same companies shells that the picture uses. I played one yesterday in his shop for a few minutes, and the sound was awesome. He told me that the contruction has its ups and downs, but overall they are better drums in his opinion. 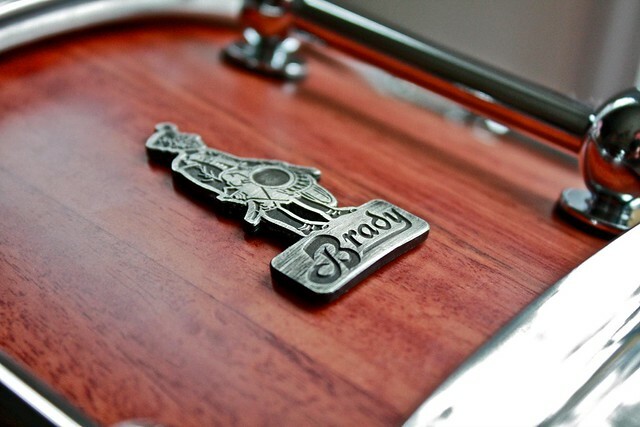 Truth is, stave drums would be assembled in much the same way as the first bongos and congas, with alternating staves of wood like that shown in your photo...would love to play that one myself, man...bet it would sound different than a traditional wood or metal snare or tom! [QUOTE=ldb;80810]My friend owns Stool Pigeon Custom Drums, and he builds stave drums using the exact same companies shells that the picture uses. I played one yesterday in his shop for a few minutes, and the sound was awesome. He told me that the contruction has its ups and downs, but overall they are better drums in his opinion. interested in the details of the "ups & downs". would guess that they could be prone to cracking or splitting over time. would you care to ask him next time you see him? Last edited by drummer; 04-24-2008 at 06:48 PM. I have a curly maple/walnut snare from Wittman Stave Drums. 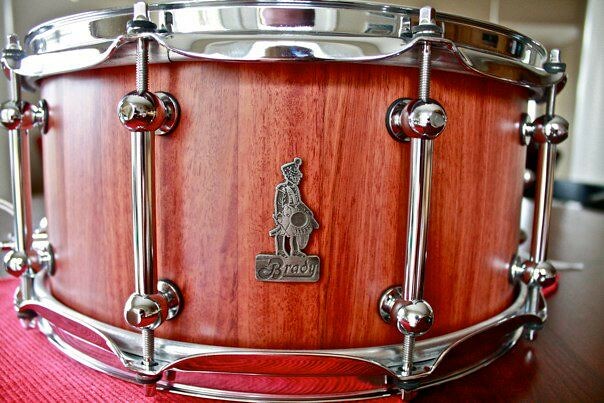 It's a beautiful snare and really cuts through with lots of body and a good 'crack'. In general, I think since there is much less glue used and the drum is much closer to being a 'solid wood' drum than a ply drum is, that it has a truer sound for whatever type of wood you are using. I have played some other stave snares and a kit from Wittman as well, and you just can't tune them to sound bad. All the overtones are pleasant, regardless of how you tune them. Stave drums are also LOUD!! Hope this helps. ^^Wow!! A work of art! !